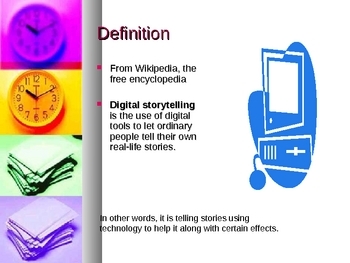 This is a presentation that explores digital story telling.It define it and gives the background. It suggests ways to get started on a project as well as possible titles.It also lists resources, a rubric and some helpful sites. 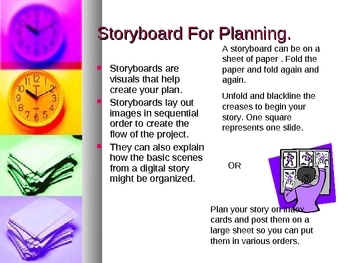 It is great for starting a digital story project with students.